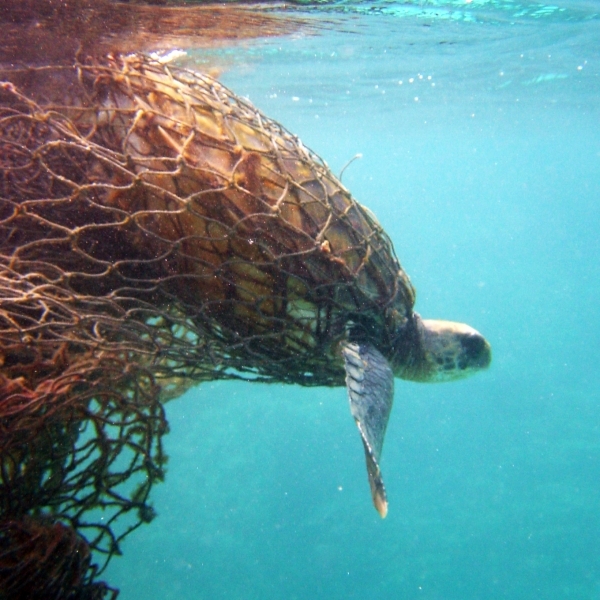 Occasionally fishing nets are cut loose, crab traps can come free from their moorings, and sometimes gear is even abandoned by fishers. All this stuff then is free to roam the ocean or Great Lakes on currents. Although there is no one on the other end, the gear still does what it is meant to do, fish. 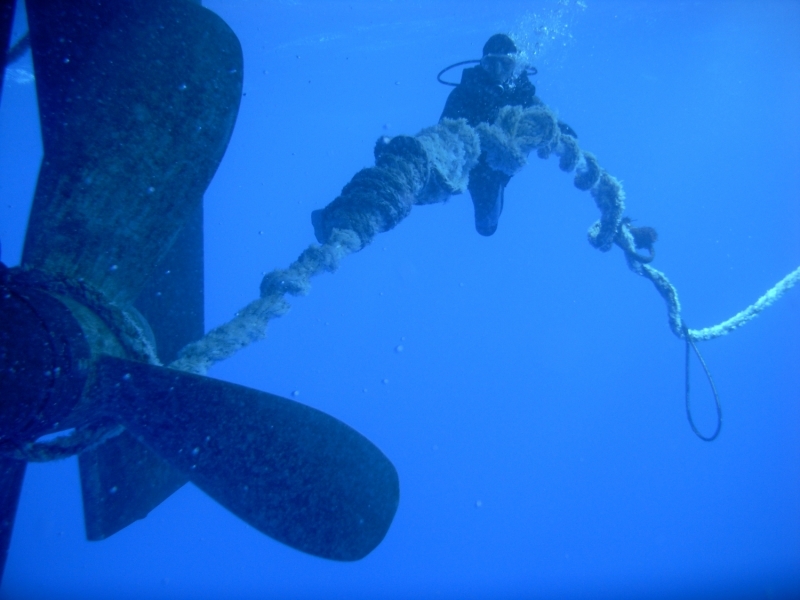 Even boat propellers can become caught in this dangerous debris. But unlike the classic horror movie villains, this menace is easily defeatable. 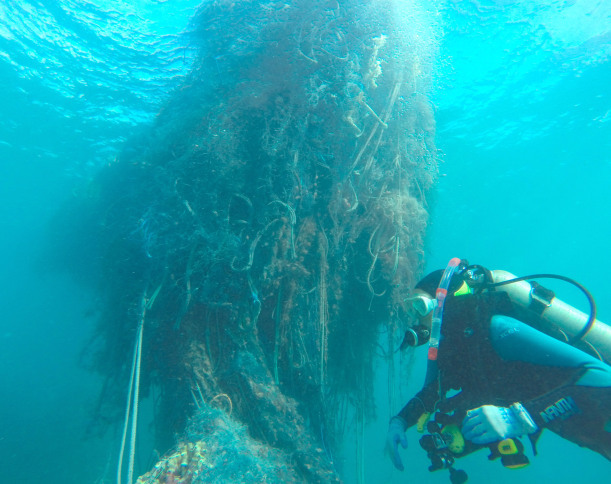 Here at the Marine Debris Program, we support efforts to teach people about the problem, provide a place to dispose of old nets, and actually remove this ghost gear from the water. In fact, if you find yourself in Florida this spooky season, you can participate in one of these Ghost Trap Rodeo removal events, funded through a Marine Debris Program removal grant. There won’t be any lassoing of apparitions, but there will be a lot of creative efforts to make the ocean a better place. I appreciate all these efforts to prevent and reduce marine debris that causes entanglement and ingestion of marine species. It is a terrible pollutant and killer of our oceans. However, I would like to see another aspect of prevention and awareness: Go Vegan! If we could present the horrors of the commercial and even recreational fishing industry on a broad scale media push, I do believe many people would eschew seafood. 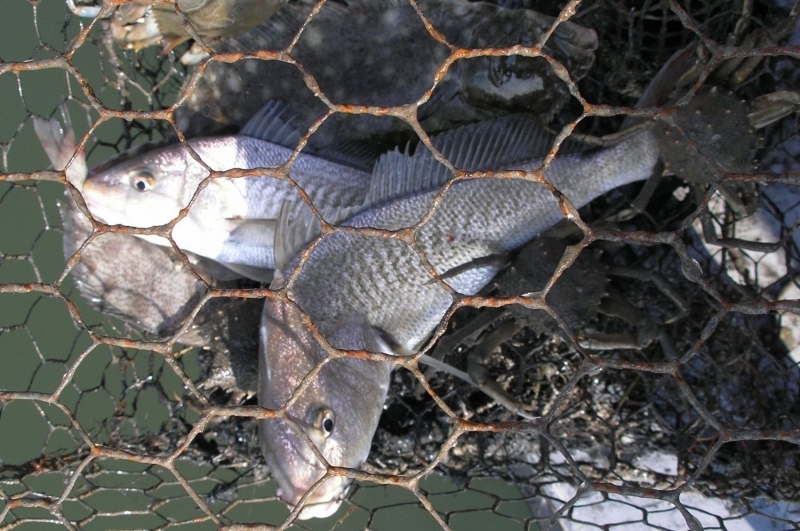 Curbing the demand is a viable way to diminish the mass commercial harvesting of our oceans. Vessel traffic, noise, pollution, gear, and legal and illegal fishing methods are killing our marine animals. It is very sad that people have to harvest and kill everything on land and sea, either for trophies, food, clothing, or fun. Please think about starting a prevention alternative that involves not eating, wearing or decorating with marine animal and ocean parts. Just diving for shells and coral for commercial sale is harming out oceans and their inhabitants too. Start a wave (no pun intended) of be kind to the oceans and don't eat our water animals. Thank you!